Gone are the days where people use to say mobile first, but the ‘World of Mobile Only’ is on the doorstep. The trend of consumer mobile usage made SMEs think from a business perspective to remain in the market, as the digital customers are looking for mobile apps and mobile friendly business portals. Applications are effective and comfortable to use, so the appeal to create an application is very strong. Mobile apps can keep customers connected to the business, help a business stay organized, and even help business become more recognizable. As applications become more prominent, they are also gaining relevance, especially when it comes to helping a business grow and run smoothly. Think about how many applications have on a mobile device right now. More than a billion applications were downloaded in 2015! It’s time to put these applications to good use. What key benefits SMEs gain when they offer mobile apps? Being where customers are, is critical, and a recent analysis shows that people consume more time on their devices than on watching TV. Allowing customers and prospects to interact with a company from mobile devices is now mandatory. Having company live on customer’s phones and engaging customers with SMS and Push notifications can quickly distance from the competition and build loyalty. The easier to interact, the more business will be generated. Applications can increase order frequency and size by making ordering quicker and more timely, improve user engagement and build loyalty, and assist customers to get more out of services or products by providing relevant information on devices. In short, just having an application is not enough. It’s really important to establish goals with application developer to ensure that app connects with users and provides a competitive advantage. Most business owners will accept that today it is almost impossible to operate and gain new business without a website in the market. However, the number of mobile users is rising day by day. This indicates that it is not only more difficult for potential customers to find the website using a traditional web browser, they are also less likely to look for business outside of mobile applications. Instead of doing a Google search on the computer to find a specific business, people are utilizing their mobile applications or searching in their mobile app store to identify the businesses they want. Make business more visible on every platform by utilizing a mobile application. Many people feel that having a Mobile Application is the domain of the big industry players with deep pockets. If this is the case, wouldn’t having a Mobile Application to some extent put a business in their league? That has to be good for an image! To some extent a website has become as universal as a name card – as it might seem odd if a businessman having no name card, similarly a business without a website also appears odd. Companies with websites seem more ‘solid’ compared to companies without websites, and as they move towards Mobile Applications gain pace, the way people feel about websites, likely be the way they feel about Mobile Applications – if a company, not having Mobile App, it shows that something is wrong. Very few applications are forced on users. Whereas a mobile user might feel irritated at receiving a marketing call, email or SMS from a company, as they prefer to load a business’ applications, they might not feel so astonished if that business contacts them with special deals and promotions. Mobile Applications offer another line of marketing, one which users are apparently going to be more comfortable with. Applications are (usually) free. People download them in their smart devices at their own discretion. Obviously, this is an opportunity to promote brand – app sits on a customer’s device and if it looks great, it can reflect well on the company’s image. These days, no need for customers to collect stickers and carry cards – whatever type of service offered, a Mobile App can help to track usage and to encourage customer loyalty. When a free Mobile App gives a user an opportunity for a free cup of coffee, surely they are going to return to business! Simply put, a device’s screen now displays an advertising and real estate opportunity. A plenty of studies imply that mobile phone users access Facebook on an average 14 times a day. With company’s application taking up space on the same screen, that is 14 times a day they might be reminded of business. Surely that has got to be a good thing! With present booming mobile industry, it is advisable to every business to invest for either Android or iOS mobile applications development to promote their services and products in a more personalized way to engage more customer. Mobile is the perfect the way for all types of communication is headed nowadays and so, embracing this technology is ensured to generate the right results for businesses. 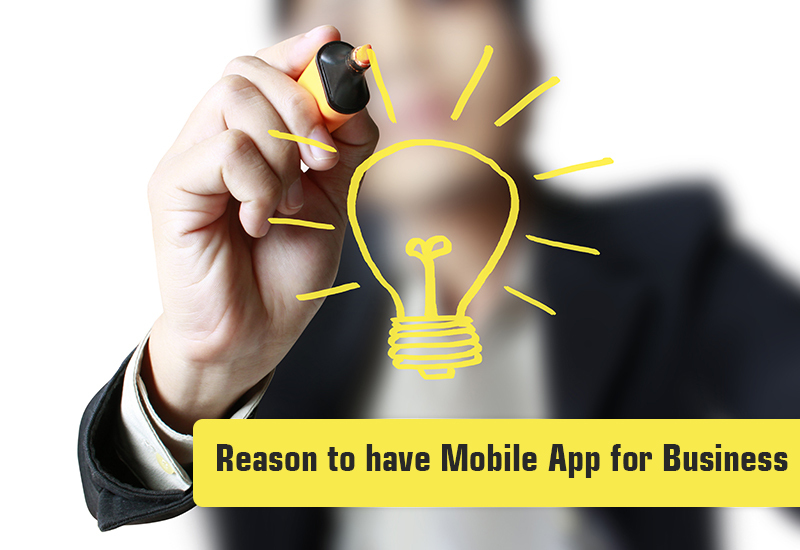 This might put you in a confusion that what is the best practice for developing a right business mobile application? 9series has experience of more than 9 years in IT and software industry as a one of the leading mobile app developers in India and serving the Small Business and New startups. Feel free to ask for any business need at www.9spl.com. We would love to help you with.